Home > Expenses > Expenses - FAQs > How Can I Add Mark-up on Expenses Before Invoicing My Customers? Go to Settings > Expense Settings and edit an existing category. 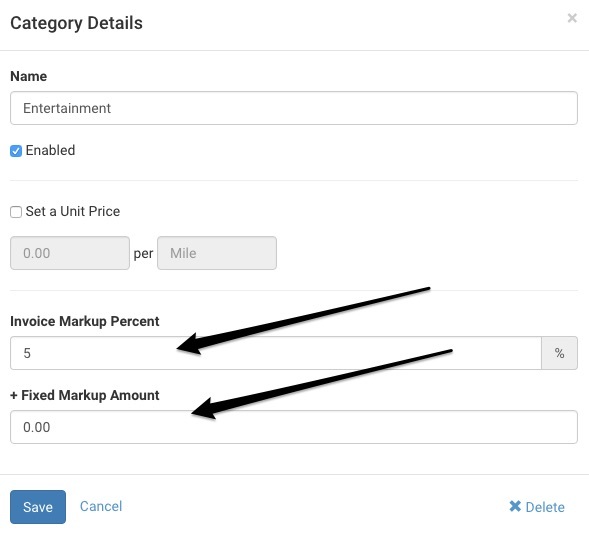 You can enter a mark-up percentage or fixed mark-up amount. The entered percentage plus the fixed amount will be added to the invoice line item when adding expenses to the invoice.